E-Cigarettes are the new hit and their low health risk rates have made them a favorite for everyone, everywhere! E-Cigarettes or Vapes have been around for quite some time now and are an ideal choice for those who want to quit smoking. Various E/Vape Juice or E/ Vape Liquids are used to do vaping, and Cannabis has been in question for a lot of people about whether it produces a high or harmful effect if used in Vaping, or not. 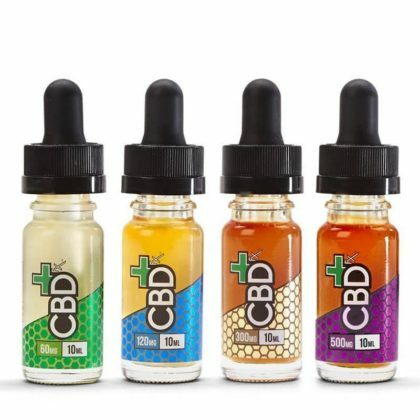 CBD Vape-Oil is a term that is used widely, although it is more appropriate to call it a CBD Vape Juice or a CBD Vape Liquid is used specifically for vaping. CBD Vape-Oil is not typically extracted from Cannabis, but from Hemp which is the male Cannabis plant and has small traces of THC but will not get you high. It is the concentrated form of Cannabidiol in a liquid form, which is heated and inhaled through an E-Cigarette, Vape Pen, or Vaporizer. Although Cannabis is a topic of argument for a lot of people out there, it is still widely being used in the field of medicine to treat various illnesses. CBD (Cannabidiol) is one of over 80 chemical compounds found in the cannabis plant called Cannabinoid. It is responsible for creating the many effects of cannabis such as high, euphoria and relaxation. Despite the various questions and arguments circling around its uses and effects, after its popularization since 2013 on the CNN special ‘Weed’, it gained more highlight. The show shared a remarkable case where a 5-year-old Charlotte Figi’s Dravet Syndrome (a severe form of epilepsy) was cured using CBD. It reduced her seizures from 300 a week to only 1 per day. Hemp itself is legalized all over the U.S but it is grown outside of the U.S and many state-licensed dispensaries offer high strains of CBD flowers.CBD vape oil can be purchased in a bottle to refill your vaporizer or as a one-time use cartridge for your Vape Pen. Vaporizers are used to heat up the flower and use the properties or compounds of the plant that are needed for without combustion or smoking. Reducing the risk of paranoia and allowing a high medicinal dose to be consumed. Since various users have the concern about achieving a high or consuming it in doses that might get them an unwanted high, it should be taken into consideration that questions about whether CBD Oil has Nicotine in it, are quite normal as 99% of consumers do not want nicotine in their product, It should be noted here that you must check the ingredients of the oils before purchasing as Nicotine based products have a totally different market, to begin with. Based on various customer reviews, CBD Vape-Oil has lesser side effects compared to other means of administering CBD tinctures, capsules and concentrates. As opposed to Vaping or Smoking, CBD has more side effects if it is consumed orally. There are no risks of getting addicted if you are vaping, no paranoia, no red-eyes and no cottonmouth. CBD Vape-Oil is known best for reducing side effects of various diseases, illnesses, and ailments including Leukemia, all types of Cancers, stress, anxiety, joint pain, seizures, inflammation, sleep apnea, high blood pressure and the list becomes endless. Although these effects are not scientifically proven but these are under the prevention stage, where these can be used to achieve best results without worrying about major side-effects.